I don’t like being this negative in my reviews, but in this case I really feel like I don’t have a choice. First of all the blurb of Eve is really misleading. It is sold as the first book in a new trilogy, but it is actually the twelfth book in a series and if you haven’t read the previous books (like myself), you will find a lot of details are missing. Unfortunately, that wasn’t the only problem I encountered while reading this novel by Iris Johansen. The biggest setback was that I wasn’t a fan of the prose. To be more specific: the physical attraction/romance scenes were cringeworthy to say the least and made reading this story almost feel like voluntary torture. I know I’m not a romance fan and that might have made things worse, but I know a badly written romance scene when I see one. I hate to be so negative about a book, but I truly wish I would have decided to just DNF it… Because it truly felt like a waste of time. The ending was not satisfying at all and from what I saw in other reviews is that it is kind of a pattern to never reveal the identity of Bonnie’s killer. As you might have guessed, I wouldn’t recommend reading this book. Eve Duncan is a forensic sculptor and is able to help families find closure by piece back together bones, create a face and give the deceased back their identity. She is good at what she does and extremely driven, especially after her own daughter Bonnie was taken from her years ago. Eve never found out what happened to her daughter and is still obsessed with the case… So when a name from the past resurfaces, she dives right in even though it might be dangerous. She doesn’t want her boyfriend or good friend Catherine to be involved, but they follow her anyway… And things will become both dangerous and complicated real soon. When I first saw this copy of Eve at my hostel’s book exchange I was immediately intrigued by the cover and blurb. ‘FIRST IN A BREATHTAKING NEW TRILOGY‘ it said… It sounded like the perfect mystery/thriller read, but I couldn’t have been more wrong. I actually DNFed it the first time around and I wish I would have let it stay that way, because I had a really hard time finishing this read. The horrible physical attraction/romance scenes made it really hard to focus on the rest of the story and the plot was quite slow and unbelievable in the first place. Unfortunately not a series I will be reading more of in the future. WWW WEDNESDAYS is a weekly meme hosted by Sam @ Taking On A World Of Words and is all about answering the three questions below. I’m normally not a romance fan, but ever since reading and loving November 9 I have been wanting to pick up another Colleen Hoover book. It was between Ugly Love and Maybe Someday, but the first one won… I’m still not that far into the story yet, but hopefully I’ll find time to continue soon. 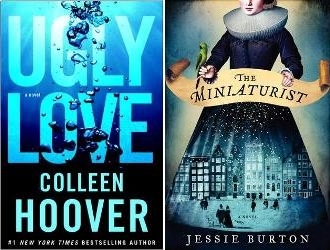 I’m also still reading The Miniaturist by Jessie Burton; I really like it so far, but I haven’t been in the mood for historical fiction lately and I don’t want to rush it. 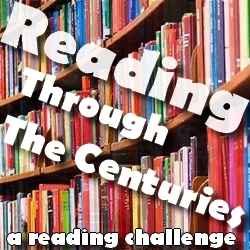 Fingers crossed I’ll feel like reading historical fiction again soon! * The first novella I finished was Kindred Spirits by Rainbow Rowell, a Star Wars-themed story she wrote for World Book Day and very entertaining! * I then read both Red Queen novellas Queen Song and Steel Scars by Victoria Aveyard. I can’t say I was impressed… The second was slightly better than the first, but I don’t think they are actually worth reading. 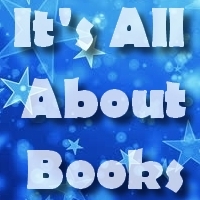 * I then read One by Sarah Crossan, which turned out to be a superfast and interesting read. The prose reads almost like poetry and the story itself is intriguing. * The last book I finished was a lot better: Is Everyone Hanging Out Without Me? by Mindy Kaling. I already knew I liked her writing style after reading Why Not Me? and this one is without doubt entertaining as well (although a bit slow at points). I will probably try to finish my Red Queen series read and both reread Red Queen and read Glass Sword… Although I might pick up Random by Tom Leveen first depending of which genre I’m in the mood for. 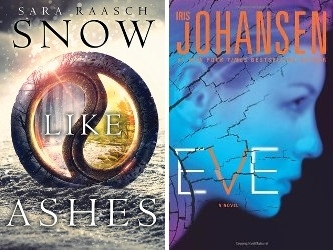 I have also been wanting to read Ice Like Fire by Sara Raasch since I really enjoyed the first book; The Liar’s Chair by Rebecca Whitney is still my latest TBR jar pick. 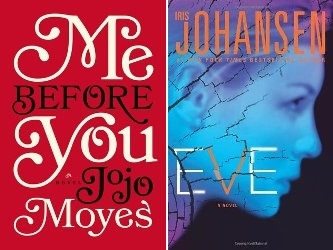 I’m still not that far into Me Before You by Jojo Moyes, but I plan to change that today. Hopefully I will like it as much as everyone that has recommended this novel to me! I’m also still decided whether to DNF Eve by Iris Johansen or not. I have put it on hold for now, but the combination of a misleading blurb (it was supposed to be the first in a trilogy, but ended up being book number twelve in a series, so a lot of background is missing) and sexual attraction/romance scenes that make me cringe really make me not want to continue reading it. 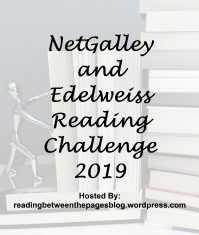 * The first book I finished was Snow Like Ashes by Sara Raasch, a book I ended up enjoying despite my initial reservations about the love triangle. I loved the worldbuilding, plot and action and will be picking up the sequel soon. 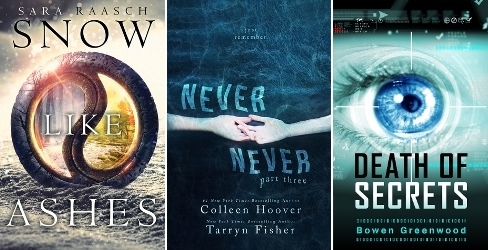 * I then picked up Never Never Part Three by Colleen Hoover and Tarryn Fisher to finally find out how the story ends, and I ended up being VERY disappointed with how they decided to conclude the story. * I was actually going to DNF the last read, Death Of Secrets by Bowen Greenwood and in a way I wish I did, because it really was a bad read. Lousy characters, chaotic plot and I didn’t like the prose either… I just couldn’t concentrate on the story even though the general idea of the story does have potential. As soon as I finish Me Before You, I will pick up All The Light We Cannot See by Anthony Doerr. I was actually planning on picking it up during the weekend but I didn’t have a lot of time to read… I also want to make a start with Outlander by Diana Gabaldon so I can finally begin with this series I have been wanting to read for ages. And I want to give Gillian Flynn another go and read her other novel Sharp Objects as well. My latest TBR jar pick is still Extraordinary Means by Robyn Schneider. I’m close to finishing Snow Like Ashes by Sara Raasch… It took me long enough! I still love the worldbuilding and the story is quite interesting, although I’m not completely blown away by it either. I also picked up my copy of Eve by Iris Johansen during my days away camping, but I don’t really like it so far. The case sounds interesting, but I feel I miss a lot of background information and the whole sexual attraction/romance scenes are cringe worthy. Fingers crossed things will improve later on! 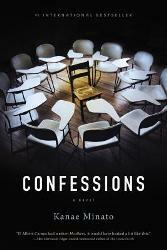 Only one book finished this week: Confessions by Kanae Minato. It took me a little while to get used to the writing style, but as soon as I started reading the second confession (chapter), I was hooked. A very dark, disturbing but intriguing read! I finally have a copy of All The Light We Cannot See by Anthony Doerr, so I’m planning to pick it up soon. I might read Mr. Kiss And Tell by Rob Thomas first though, since I really loved the first book in the series… And I want to give Gillian Flynn another go and read her other novel Sharp Objects as well. My latest TBR jar pick is still Extraordinary Means by Robyn Schneider. Thank you for visiting my blog! 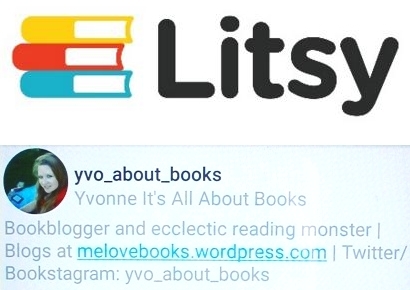 Let me introduce myself: I'm Yvonne, or Yvo for short... I was born a Dutchie, but felt that that tiny, rainy country known for tulips, windmills, cheese and of course Amsterdam wasn't my place to be. O no, the world was a lot bigger that and was calling me to start discovering it. Carpe Diem and all. So I learned Spanish (I actually have a degree in Spanish philology), went to study in Madrid, Spain when I was 20... And after that I decided to try and find my place in the world. I travelled around a lot during the last few years, and finally settled down in lovely Argentina after having found the love of my life while travelling in Colombia.